Brief History & Bio: I graduated from Ithaca College in 1990, with a B.S. in Exercise Science. After continuing my undergraduate education at SUNY Cortland, I completed a second B.S. in 1992, this time in Mathematics. In the fall of 1992, I moved to Syracuse to pursue graduate work in Mathematics and completed an M.S. in mathematics, in 1994, at Syracuse University. Continuing at SU, I finished a Ph.D. in Mathematics in the area of probability theory (stochastic processes) and a second M.S. in Applied Statistics, in May of 1999. In August of 1999 we, which at the time included my wife and first son, moved to the Twin Ports (Duluth, MN and Superior, WI), and I started a position as an assistant professor of mathematics at University of Wisconsin Superior. The following June (2000) our family expanded to include our second son. After two fun years in the Twin Ports, we moved "back east" to Ithaca, NY where I am now a professor of mathematics and recently served as the director of the Ithaca College Honors Program. Over the next couple of years, we had our third and fourth sons. As an undergraduate at Ithaca College, I was a three-year varsity oarsman and raced in eights and occasionally fours, during the semesters. In the summers, I have competed in singles, doubles, and quads. Since then I have done various activities to stay in shape. While in graduate school I picked up short track speed skating and then followed that up with inline skating. I also played a lot of squash and did some canoeing. During my two years in Wisconsin, I ran a marathon (Grandma's Marathon in Duluth MN in June 2001, (3:34:58, 799 out of 4271 men, 932 out of 6699 overall), and skated an inline marathon (26 miles, Northshore Inline Marathon in Duluth MN in Sept 1999 1:29:16 -top 10 in my age group). I have also competed in a canoe marathon (Whitney Point Canoe Marathon, June 1998) and was on a top five team in the Winter Great Race in Auburn in Feb 1998. These days you will find me biking (often to work) and rowing in the summer, and in the winter running and downhill skiing. Other hobbies of mine include making homebrew beer, gardening, raising chickens for eggs, and making pizza. My primary scholarly work is in incorporating sustainability ideas into mathematics courses and I maintain a blog sustainabilitymath.org. 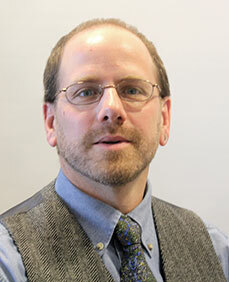 I have general interests in teaching and education, as well as the role and administration of higher education. As an applied mathematician, I use a variety of computing software, but currently my two favorite programs are R and ArcGIS. 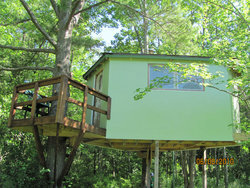 Check out the Pfaff treehouse in the photo galleries.